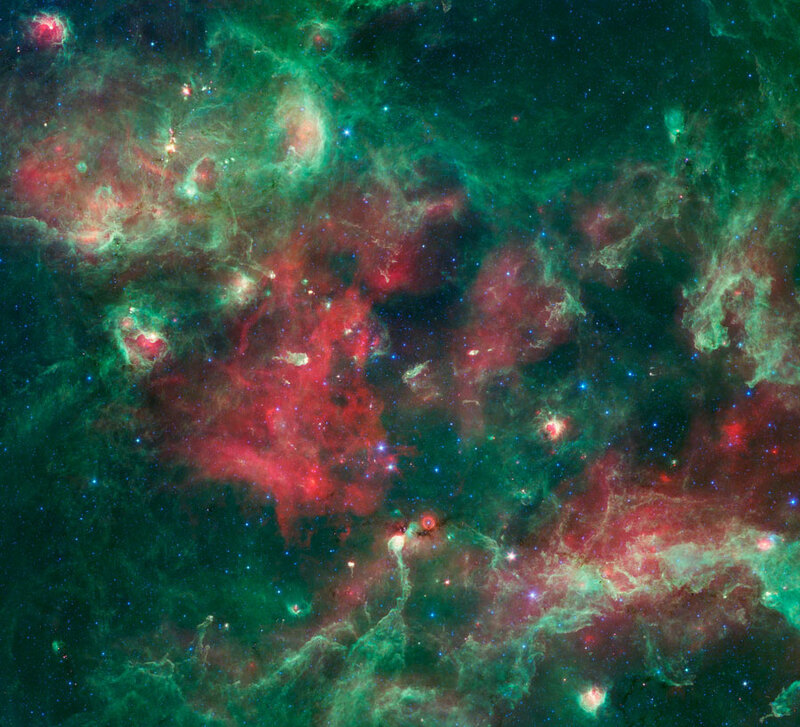 There are many colorful and beautifully complex places where new stars continue to arise. Our galaxy alone has thousands of these star forming regions (however, it might surprise you to learn that astronomers estimate only 6 stars form per year in the Milky Way), none is larger and more dynamic than what you see here. This particular stellar nursery, called Cygnus-X, can be found roughly 4,500 light-years from Earth in the constellation of Cygnus. Not only have astronomers identified 800 distinct HII regions thus far, but it’s so large, from tip-to-tail, it measures around 600 light-years across, which means it would take light 600 years to travel from one side to the other, and that’s moving at the speed of light. A shuttle, on the other hand, travelling at its top-speed would take 23.4 MILLION years to make a one-way trip.